Royal Candles Veronica has blue flower spikes that do resemble candles. These dark blue flowers will stay in bloom all summer long! The compact deep green foliage of Veronica ‘Royal Candles’ does not die out like other Veronicas. 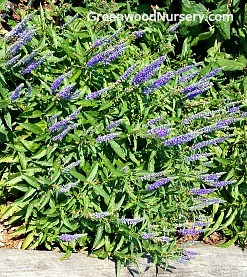 One of our customers favorite perennial plants, you will find the Veronica spicata Royal Candles is an excellent flowering perennial that is a must have for every perennial garden! It will attract bees and butterflies. Grows to a height of 15 - 18 inches with a 15 inch spread.